In Chemistry and Hematology, you’re predominately testing the levels of specific analytes in blood; these samples are collected in the coloured-top tubes often seen in hospitals and outpatient labs. The samples that come through Micro vary markedly, from blood cultures, to sputums, to nasopharyngeal swabs. Collection may be prompted by the clinical presentation of infection, with the intention of correlating it to a specific pathogen(s). Infection can be caused by bacteria, viruses, fungi, and even parasites. 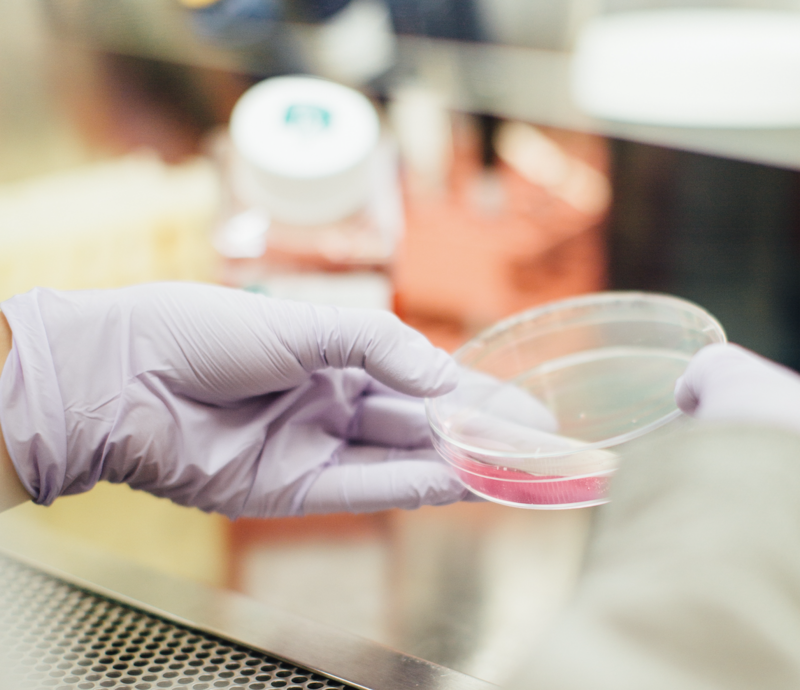 Once the pathogen is identified, the Microbiology department also performs antimicrobial susceptibility testing (AST) to guide treatment options. What exactly do I mean by different plates and planting? The ‘plates’ are petri dishes which contain agar and other nutrients, allowing for growth of microorganisms. Different plates contain different combinations of nutrients—certain microorganisms grow better on certain plates, and others don’t grow at all! The selectivity of these plates can be used to isolate the more common pathogens in certain body sites, and inhibit other organisms generally seen as non-pathogenic. ‘Planting’ is the act of streaking a sample onto the agar in an attempt to obtain isolated colonies. These colonies may be picked and used for subsequent testing. 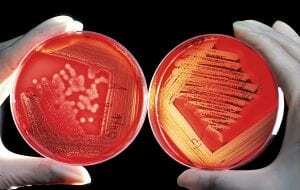 One of the most common uropathogens is Escherichia coli, a.k.a. E. coli. E. coli is a gram-negative organism. Virulent strains have an increased ability to overcome host defenses and invade the urinary tract: fimbriae (threadlike projections that better adhere to uroepithelial cells) and capsule production (protects the bacteria from destruction by white blood cells) are examples of virulence factors. E. coli grows on Chromagar, but not CNA. Why? CNA media contains the antibiotics colistin and nalidixic acid, which inhibit the growth of most gram-negative bacteria. 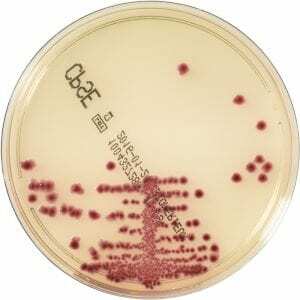 E. coli typically appears dark pink/mauve on Chromagar. Isn’t it pretty? Enterococcus species can also be implicated in urinary tract infections. They are gram-positive organisms, hence will grow on both the CNA (as grey colonies) and Chromagar (teal blue). Song of the week is “Coming Home” by City Kids Feel The Beat, a band from Germany with a pretty slick name! WIL Power: What is Work-Integrated Learning, and why is it key to getting a job?